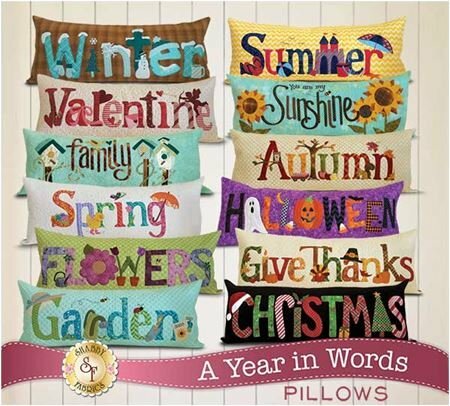 Celebrate every month with these sweet appliqué bench pillows. Each pillow cover measures 3’ long x 15" high and has an envelope backing, making it easy to change whenever the mood strikes.This quarter we’ll be making Flowers, Garden, and Summer. And we also carry bench pillow forms!